In the late 19th century, with some occupations no longer requiring hard physical labor a new science developed - the science of “Physical Culture” which we would now call “strength training”. Today we take it for granted that an athlete will lift weights for strength, but that was not the case in 1908. Probably the first well known physical culture advocate was Eugen Sandow, known as “The Great Sandow” in entertainment circles. He traveled the world impressing audiences with his feats of strength, such breaking chains wrapped around his chest. Today he is known as the father of the sport of bodybuilding. It was at a Chicago theater that a young and sickly William J. 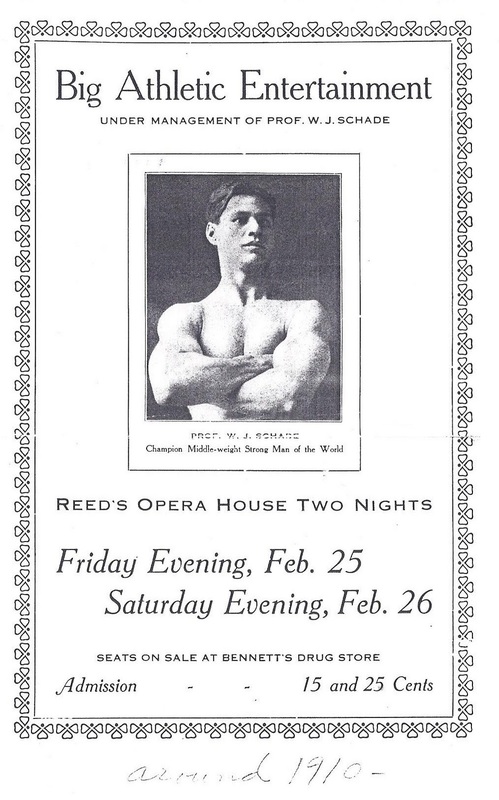 “Doc” Schade first saw The Great Sandow” “I was 17 at the time and tremendously impressed. 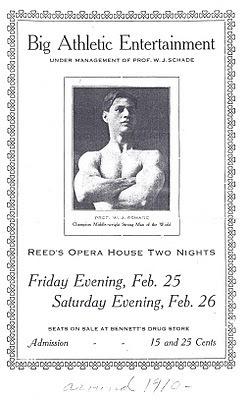 I left the theater determined to become a strong man like the Great Sandow.” He joined the Chicago Athletic Club and got a job at a gymnasium, and lecturing in the cities YMCA clubs. He then entered show business, with a strong man act in a vaudeville road show. His wife Lillian Mae was also a vaudeville singer. 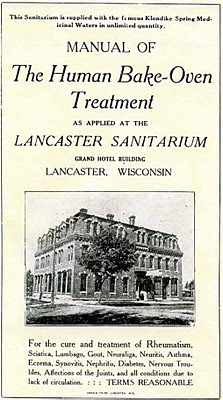 In the summer of 1908, Schade took a train from Chicago to Lancaster, Wisconsin to visit an old friend, Lambert Groenier who had a musical instrument store. He said “I never had lived in a small town. I promptly fell in love with the place.” When he arrived in Lancaster he heard that the town had planned a homecoming celebration and had hired a carnival company to provide the entertainment. Disappointment met those plans when the company cancelled due to being stuck in the mud in Galena. Schade called a booking agent and arranged a show for the event. The city was so grateful to him that they offered him the use of the large loft above the old city hall for a gymnasium. He installed all the latest equipment including dumbbells weighing up to 238 pounds! This was the first gymnasium in the area. Men and boys enthusiastically accepted physical training and it was not unusual for girls to be seen in black sateen gym bloomers. Schade was a graduate of the National Chiropractic College. 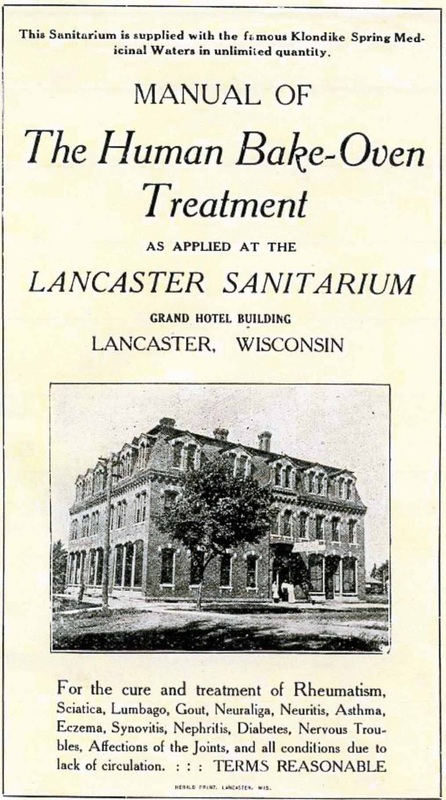 In 1910 he established a sanitarium in what most of us recall as the Lancaster House, which sat where a portion of the Grocery Store parking lot is now. 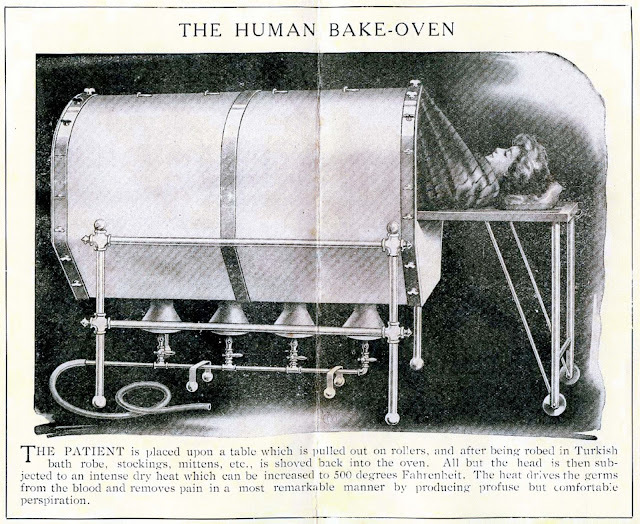 He installed the latest equipment, including the “Human Bake- Oven” which was a very popular device of the era. This consisted of a series of metal cylinders designed to surround the patient with hot air. Unlike a steam box, it used super dried air. Wrapped in a robe and placed on an insulating mat of “fibrous magnesia”, the patient laid with only their head out of the cylinder. Ice water was given freely and Ice packs were often placed around the head to prevent overheating of the brain. The air inside the cylinder was raised to as much as five hundred degrees F. Even though water boils at 212 degrees, the skin did not burn. After sweating profusely, hundreds of people attested to pain relief from a number of ailments, mostly rheumatism and lumbago. In an Everybody’s Magazine article of 1900 called “How Does It Feel to Be Baked Alive” the author wrote “Patients perspire freely. It feels at first as if one were actually melting away. The extremities tingle and then become numb for the first fifteen of twenty minutes. After that the sensation is pleasant and one becomes drowsy. An intense thirst is experienced.” It was claimed to be effective in treating pneumonia, “driving germs from the blood”, improving circulation, giving “better tone to the execratory organs”, and “stimulating the lymphatics” (Canadian Lancet). Doctor Schade bought the house in Lancaster which had belonged to General Callis. In time he kept his Chiropractic office there. At 11pm on January 16, 1946 disaster struck. The historic home was discovered in flames by Richard Orton and Harry Schwartz. Firemen fought the blaze until 3am, but in the end only one room of 14 escaped damage. Worse, Ruth Russell, the doctor’s cook and housekeeper of 20 years was found badly burned in her room off the kitchen. She died 30 minutes later in the Lancaster Hospital. All of the furnishings and chiropractic equipment was ruined. The Doctor was not sure if he could rebuild as the house was not insured. We can be thankful that it was in fact repaired and thus preserved. It stands today only a few yards from the Cunningham Museum. 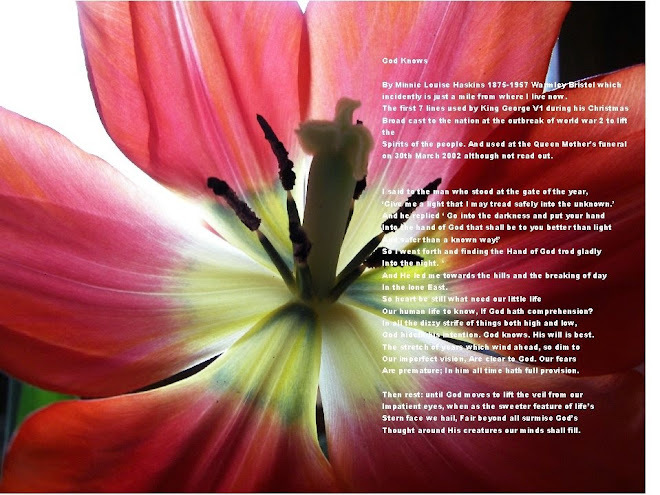 “Funeral services for William J. “Doc” Schade, Former showman and vaudeville strong man who died Wednesday night in the home of his son, Jack (Dr. W. J. Schade Jr., his only child), Oregon Ill., will be held this afternoon in Oregon with burial there. He was 76 years old. He was survived by his son and six grandchildren. He inspired a love of athleticism in the people of Lancaster, but few now know his name or his story. His inspiration, Eugen Sandow, died of a stroke on October 4, 1925 in London at the age of 58.